The Dubliner footballer would like to try his hand at the combat sport but only when his days in Gaelic footballer are over. PHILLY MCMAHON’S PASSION for sport stretches far beyond Gaelic football and the Dublin defender has spoken of a keen interest in mixed martial arts. The Ballymun Kickhams man participated in boxing as a youngster and stumbled upon MMA when Owen Roddy, a former top Irish fighter and current pad man to UFC interim champion Conor McGregor, rented gym space from McMahon, who owns his own fitness company. “I couldn’t put a time on it but it’s probably six or seven years now,” McMahon said, when asked how long he has been an admirer of MMA. “I did a bit of boxing when I was a kid. “Then it kind of went out of me. Then when MMA started to pop up in Ireland, a friend of mine who is the pad man of Conor McGregor (Roddy) wanted to set up an MMA gym in my gym. “He was renting my studio to do that. So I got more involved in it that way as I had the time to do it because I was in the gym the whole time. “But outside of that, I didn’t have the time to train. So when he set up his own premises, I only got up to it when it was off season. Coming from a team sport, McMahon says he admires those who are willing to test their own physical and mental strength in a one-on-one environment. “It’s one of those things that you’d love to do, to compete in it, but you wouldn’t be able when you’re playing. I think the most interesting thing for me is to go and do a sport where you’ve no back up from your friends. A self-proclaimed strength and conditioning (S&C) addict, he has turned that obsession into a career and works regularly with a number of top athletes at BK Fitness. “I was always interested in learning off strength and conditioning coaches and I was always lucky in that Dublin have had excellent strength and conditioning coaches, so I’ve learned off some of the best people in the country,” he says. Email “'It’s one of those things that you’d love to do' - Philly McMahon on fascination with MMA”. 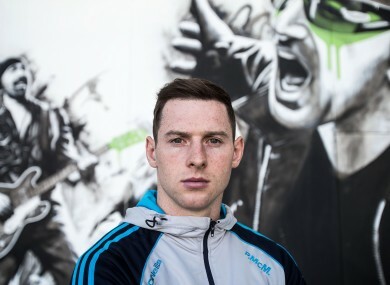 Feedback on “'It’s one of those things that you’d love to do' - Philly McMahon on fascination with MMA”.